Fully expanded ten-channel hand-held transmitter with integral telemetry function, exploiting 2.4 GHz T-FHSS® frequency-hopping technology. The ideal system for advanced pilots who wish to control fixed-wing model aircraft, helicopters and multi-copters, and appreciate the sensation of accurate control. With its extremely comprehensive range of functions, the T10J can cope effortlessly with very demanding applications. In terms of programmable features there is virtually nothing it cannot do. 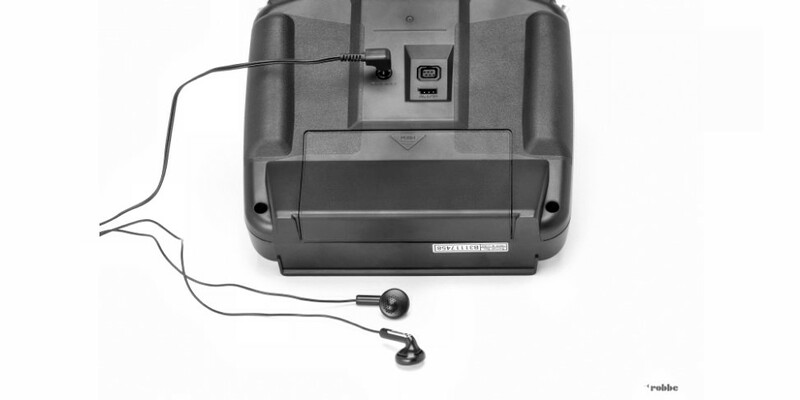 The ergonomically efficient transmitter case is made to the usual high Futaba standards, lies comfortably in the hands, and is designed to allow all controls to be reached easily. The backlit LCD screen provides 128 x 64 dots, and its large pixel size ensures good legibility in all lighting conditions. 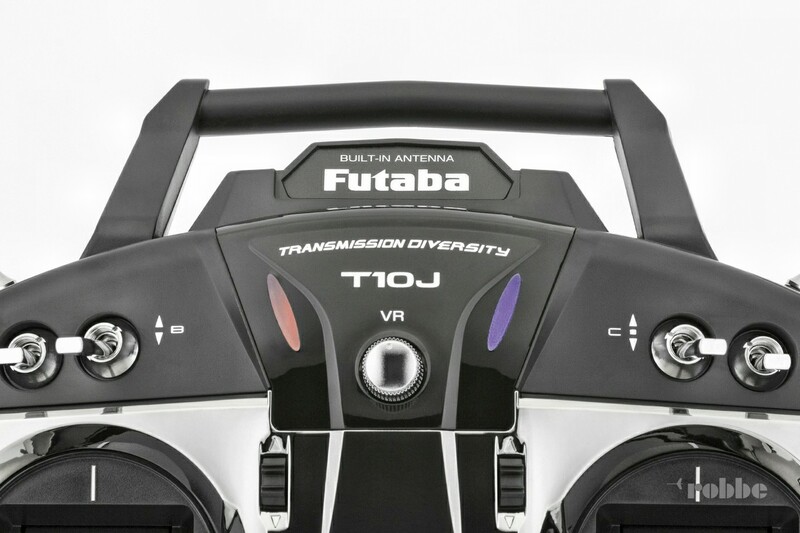 The graphic user interface, with the renowned, simple Futaba menu structure, makes the unit very simple to operate. The menu structure can be displayed in any of seven languages. 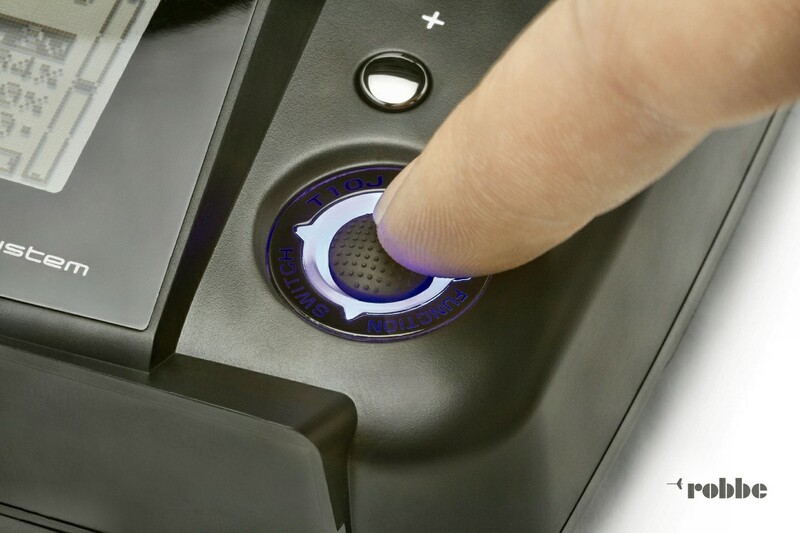 The 3D hot-key system is intuitive in operation, providing fast and simple navigation through the menu structure and easy adjustment of all parameters. 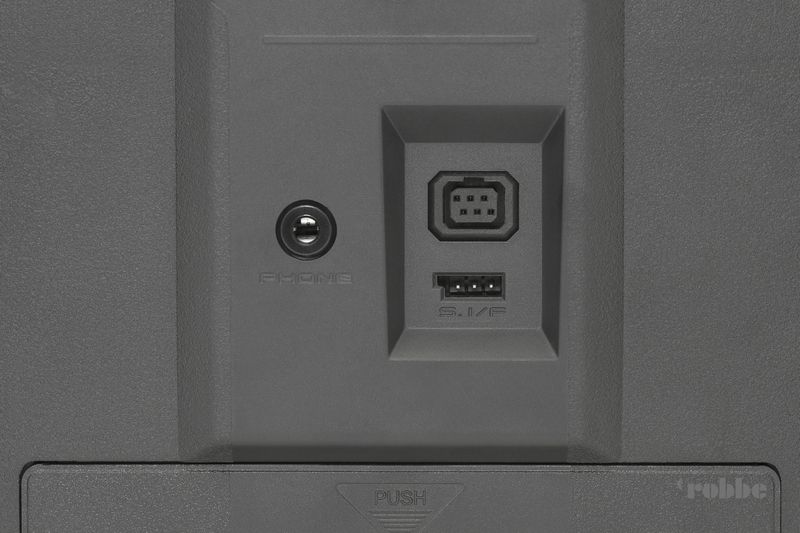 - The stick units are of universal design (Modes 1 and 2), and can be converted by the user. - Supplied with high-power NiMH battery - ten hours operating time - and battery charger. • Can be switched from T-FHSS (ten channels) to S-FHSS (eight channels) - modulation. • Broad channel spread is responsible for good interference rejection and ultra-fast response, giving a sensation of direct, accurate control. • Freely configurable output of telemetry data using screen, sound, speech and vibration. • The eight-channel T-FHSS receiver features eight PWM outputs and one digital S.BUS socket for S.BUS servos, S.BUS speed controllers and telemetry sensors. • Model memory transfer by radio between two T10J transmitters, or from T8J to T10J. 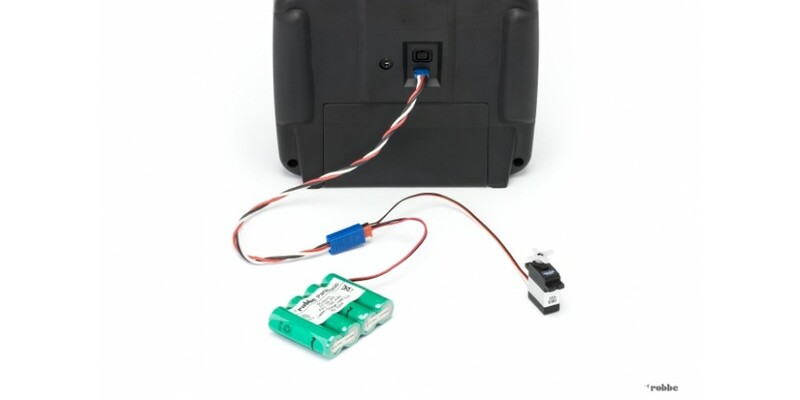 • Wide receiver voltage range of 3.6 V to 8.4 V allows broad choice of receiver battery types • Future-proof: software update facility using optional CIU-2 adapter. - More information: see "Functions in detail"
• Digital trim buttons - trim value memory when model memory is changed. • Trainer mode, with individual function transfer and / or Mix mode.